Swartwout Texas, a submerged Texas Ghost Town . 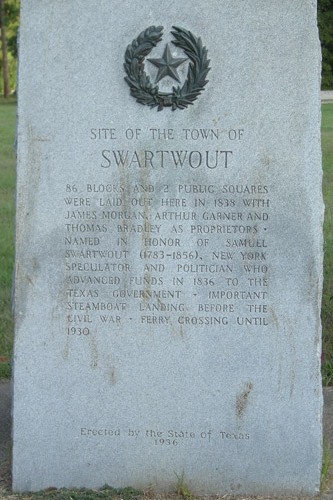 Named in honor of New York financier Samuel Swartwout who bankrolled several early colonists, the town was set up on the east bank of the Trinity River in 1838. The unusual spelling of the man's name caused many people to drop the "w" and simply spell it Swartout. Sam Houston was an early shareholder in the community whose future looked horizonsless. 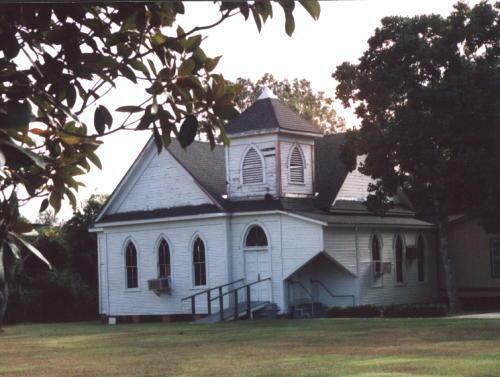 The Masons opened a school there in the 1840s, even before the establishment of Polk County. A ferry landing was established and the town was on a stage line. River traffic made it a riverport for cotton warehousing and the town had a hotel early on. 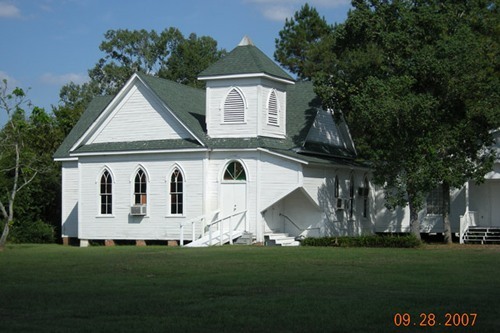 With the establishment of Liberty County in 1840, Swartwout became a subcounty seat of the county's northern division. 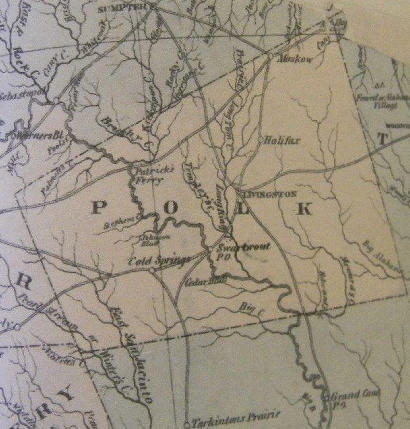 When Polk County was established in 1846, Swartwout tried to be the county seat but failed to win enough votes. Nevertheless, the town throve on its river trade until the coming of the railroads erased that advantage. The Swartwout post office was open from 1846 through 1875. A marker was erected for the Texas Centennial in 1936 but it was later moved with the establishment of the Lake Livingston Reservoir. Although there's nothing left of the old town of Swartwout, the name lives on with a contemporary community that has grown near the old Livingston Dam.